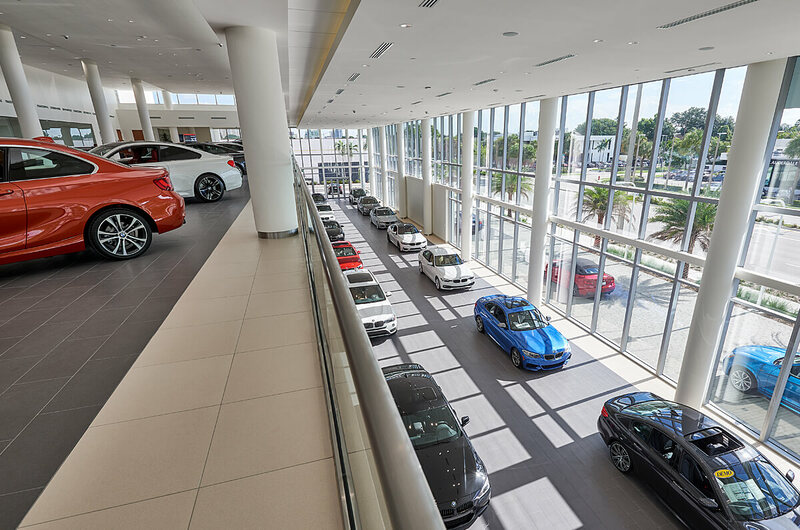 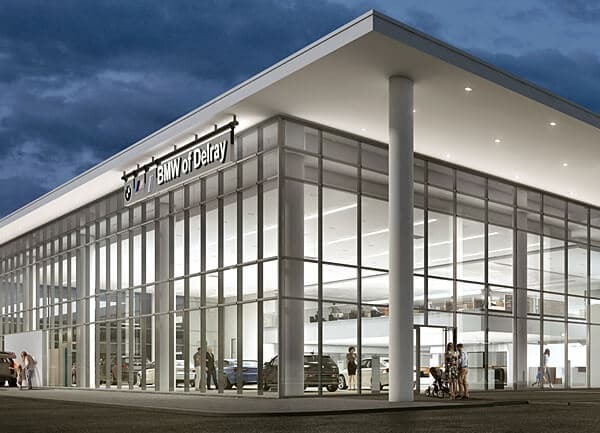 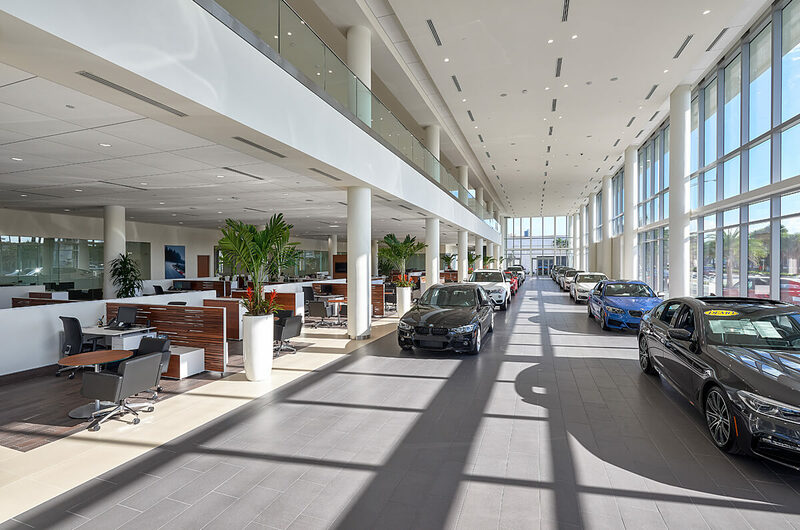 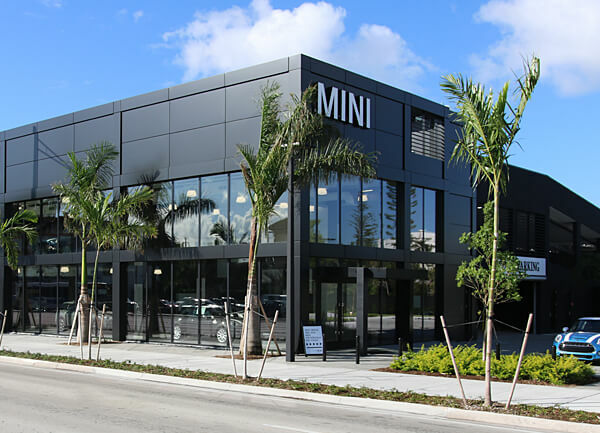 With its two-story showroom and five-story garage, the nation’s largest BMW dealership reflects the brand’s sleek high-performance image. 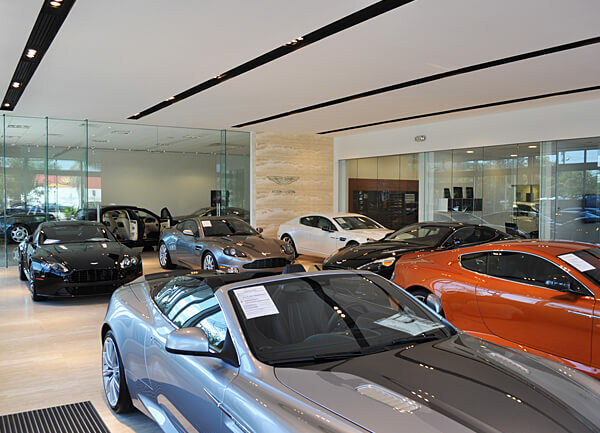 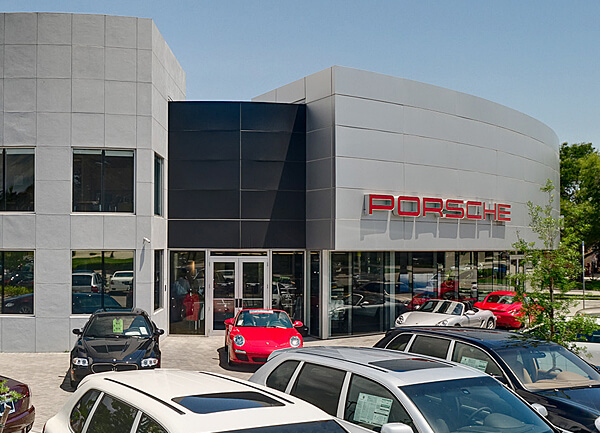 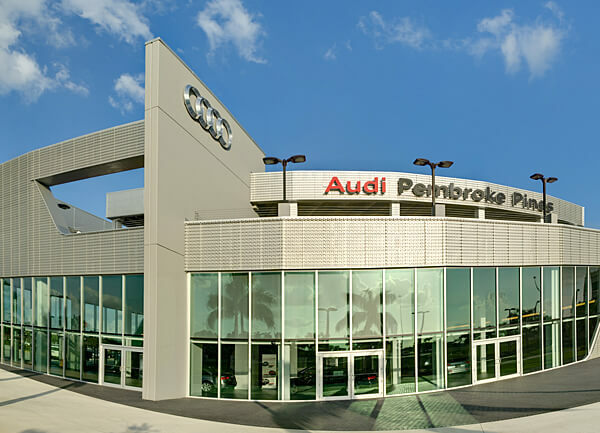 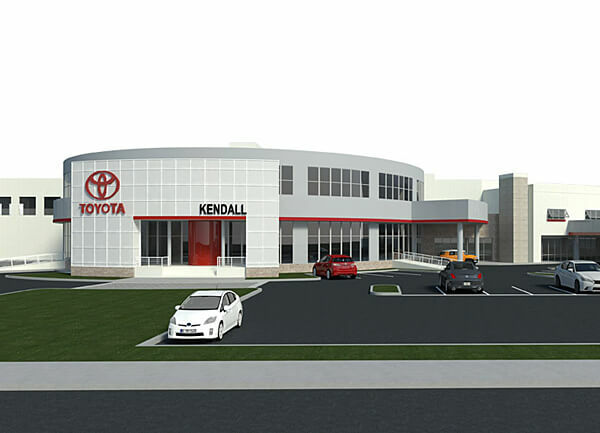 The 37,000-sf showroom and adjoining garage make a clean-lined visual statement. 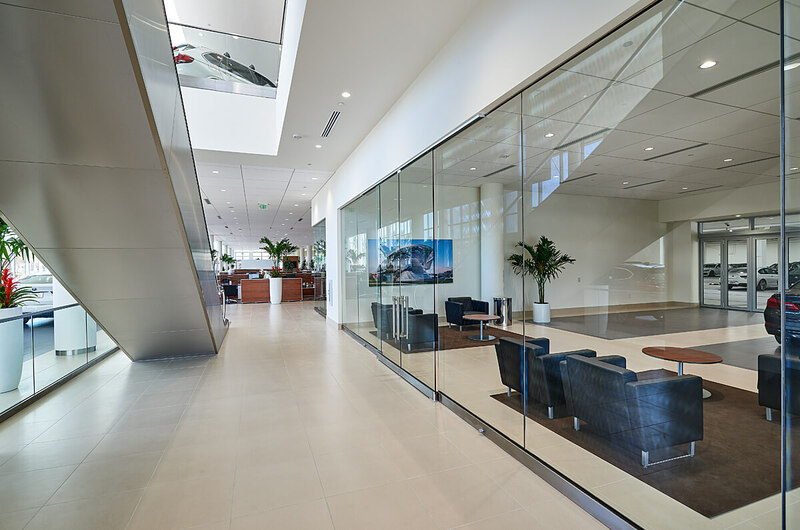 Expanses of Starphire Ultra-Clear curtainwall insulated glass deliver maximum clarity and resilience. 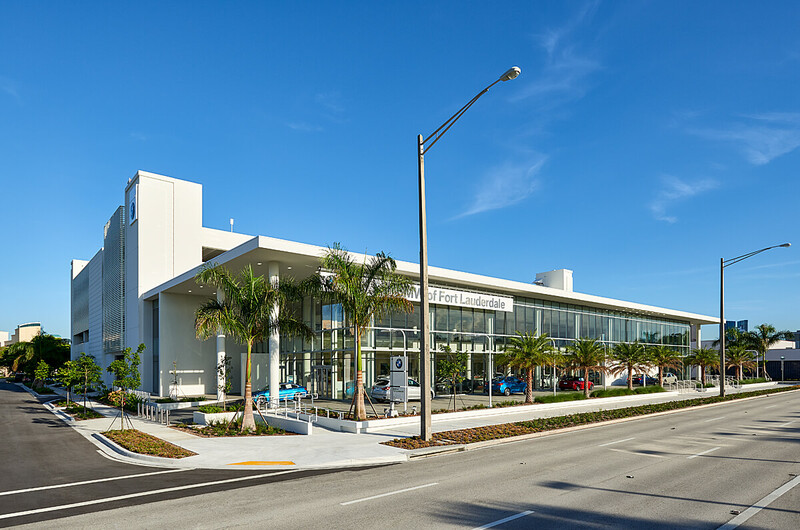 The super-smooth Parex exterior insulation and finish system (EIFS) adds to the contemporary feel. 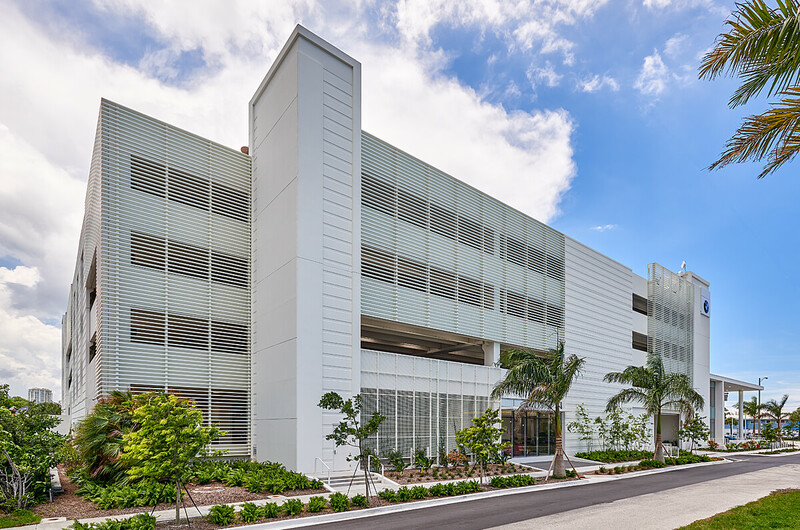 Aluminum louvered panels soften the garage’s exterior, and a customized exterior wall system creates a living green wall facing Federal Highway. 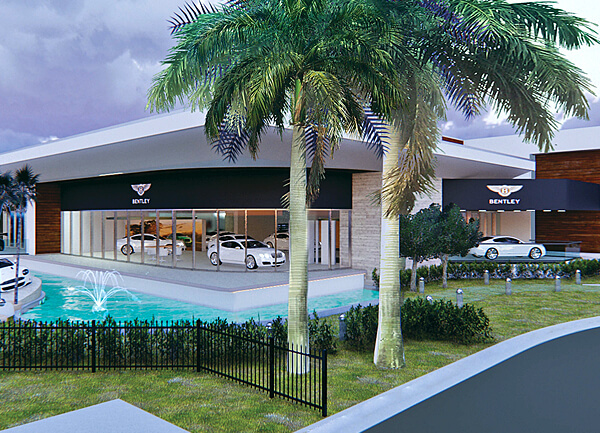 Building on the tight site required meticulous staging and scheduling, while minimizing any disruption of traffic flow. 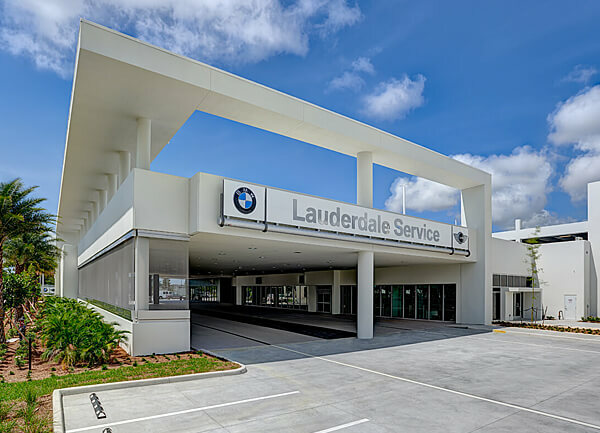 Constructing the garage meant staging and lifting a total of 726 individual 70-foot-long prefabricated panels.